You know the song Pen Pineapple Apple Pen, right? Love it or hate it, there’s no getting around the fact that it’s all over the airwaves and the Internet. 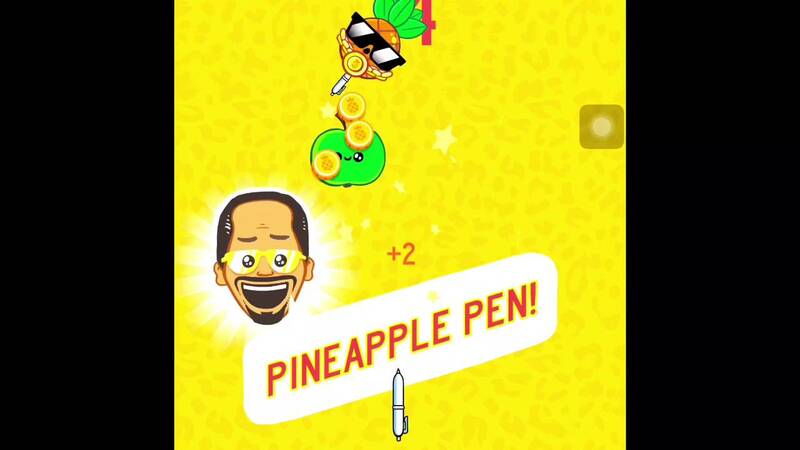 And now Pineapple Pen is making its way to your mobile as there is Pineapple Pen the game from Ketchapp, and it is actually good. Like the song itself, the Pineapple Pen game is simple. The goal is to shoot a pen at pineapples and apples. When the game starts, a message appears “Tap to shoot”. That is exactly what you need to do, just tap the screen to hit the pineapples and apples. It sounds easy and it is at first. The key to hitting those fruits is timing. During the early stages of the game, the fruits move around slowly and you will have little trouble hitting them. But as the game goes on, the fruits start moving faster and you’ll have to have faster reflexes. If you can hit two in a row, you get an apple pen and of course a pineapple pen. This also affords you the chance to make a pineapple apple pen. That is all there is to the game. It is simple yes, but trying to get your timing right when tapping the pen is addictive. It can be frustrating at times to try and hit those fruits, but this is what will keep you playing over and over. If you’d rather not play anything complicated, Pineapple Pen is just what the doctored ordered.